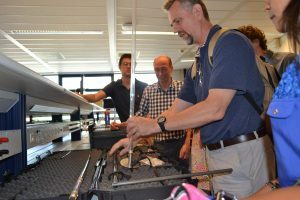 SM4 SediMeters delivered to Boskalis • Lindorm, Inc. The multinational dredging company Boskalis, with headquarters in the Netherlands, became the first user of the new SM4 series of SediMeter™. They were installed at two different projects for continuous monitoring, one in Canada and one in Holland. Since we happened to be going to Sweden on a business trip, we arranged to visit our client in nearby Holland and get a chance to discuss their expectations and requirements in person. 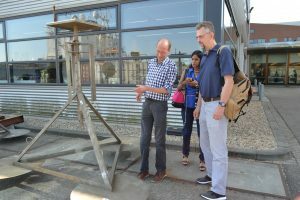 We talked about the SediMeter monitoring capabilities with their environmental engineers. We discussed integrating the SediMeter in their third party data logger network. We looked at alternative mounting methods for the SediMeter when diver installation is not an option. A presentation of the SediMeter hardware directly by its inventor. 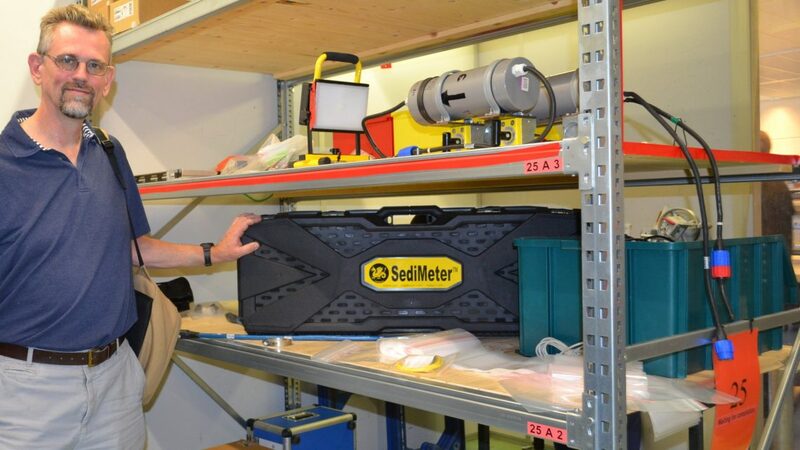 The SediMeter is capable of both independent data logging and real-time monitoring. Since it uses RS485 it can be interfaced to third party data loggers. While this is not the first time it has been done, it is probably the largest scale real-time SediMeter monitoring yet undertaken. One of our takeaways was that the software needs to be able to import data brought to shore via a third party data logger. That feature was immediately added after the trip (Version 4.1 of the software). We also added a webserver so that processed SediMeter data from a real-time monitoring network can be shown online (including when using a third party data logger in between). Thank you Boskalis for the nice reception and tour! We much appreciated learning the history of your company, and especially the survey department.